Not everyone has the time nor the sewing skills to make their favorite toddler the stuffed toy they know they'll love. So how can you make a stuffed toy or something beautiful from scratch without a sewing machine? Here are some ideas for no-sew gifts, even the pickiest toddler will enjoy helping to make and playing with. To make a no-sew snowman, take a large piece of white fabric and stuff the top. Tie off the top, then stuff the middle and tie it off and do the same with the bottom. Tie some yarn around the top section and loop it so it can hang and color on the eyes, mouth, and buttons (or hot glue black circles) and make a little felt top hat and scarf to hot glue to the top and tie around the neck. 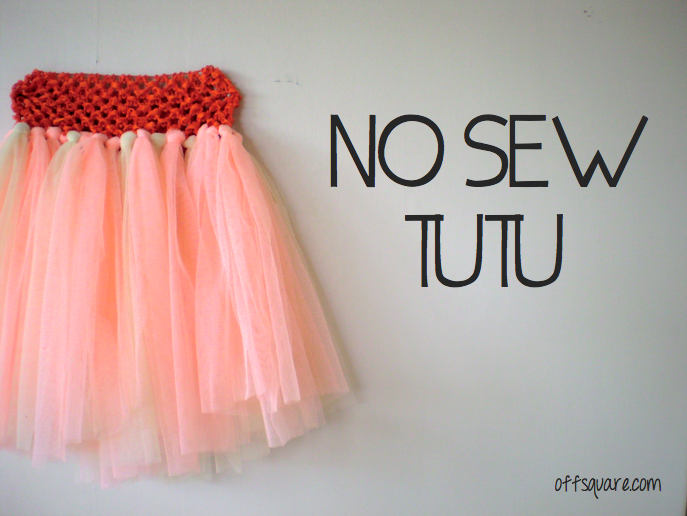 If you know a toddler who loves dress up, you can make tutus without having to sew. You'll need at least 1-3 spools of tulle, some ribbon, and a pair of scissors. Make sure that the tulle is twice the length that you need (measure from the toddler's waist to where you want the tutu to end and double that measurement). Measure and cut enough ribbon to tie in a bow around their waist. Tie the ribbon around a round object (or mannequin if you have one). Loop the tulle one strip at a time and tie around the ribbon. Continue until you're done and satisfied with the fluffiness of the tutu. The last item is the popular no-sew blanket. These can be easily bought in kits for the kids themselves to make. They sell kits at Walmart, target and other places. You can also make one yourself, using just scissors and fleece (or another material). Pick out 2 pieces of fabric. The best look is a solid print on one side and pattern on the other, line up both pieces and cut to the same size, cut out a 5 inch square from each corner, cut an even fringe through both fabrics and knot each fringe (1 piece from the top layer and 1 from the bottom) all the way around the blanket. And that's it! With the holiday season having arrived, you'll love making these simple and affordable gifts for the little ones in your life!